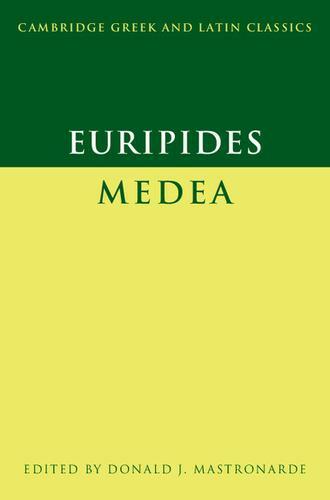 This up-to-date edition makes Euripides' most famous and influential play accessible to students of Greek reading their first tragedy as well as to more advanced students. The introduction analyzes Medea as a revenge-plot, evaluates the strands of motivation that lead to her tragic insistence on killing her own children, and assesses the potential sympathy of a Greek audience for a character triply marked as other (barbarian, witch, woman). A unique feature of this book is the introduction to tragic language and style. The text, revised for this edition, is accompanied by an abbreviated critical apparatus. The commentary provides morphological and syntactic help for inexperienced students and more advanced observations on vocabulary, rhetoric, dramatic techniques, stage action, and details of interpretation, from the famous debate of Medea and Jason to the 'unmotivated' entrance of Aegeus and the controversial monologue of Medea.